As the successor to the Scion xA, the Scion xD had to be bigger and better than ever before. Not only did it need to have head-turning looks, it also had to deliver more power and keep up with the latest technology in audio equipment. To accomplish these tasks, Scion completely restyled the xD inside and out, gave it a bigger more-powerful engine, and even designed a lineup of tuner-friendly accessories for the five-door subcompact. Straight from the factory, the redesigned xD comes standard with power windows, doors and mirrors. It’s given a choice of three premium audio systems made by Pioneer, all with six speakers and iPod interfaces. To top it off, the xD is powered by the 2ZR-FE dual overhead cam 1.8-liter engine that packs 128 horsepower and 125 lb/ft of torque. As it sits from the factory, the xD is a step up from the previous xA model. For enthusiasts that desire to take the xD’s performance yet to another level, AEM is right there to help. Custom engineered for the 2008 and 2009 Scion xD, AEM has released a cold air intake system using the latest in ETI Technology (part number 41-1404). 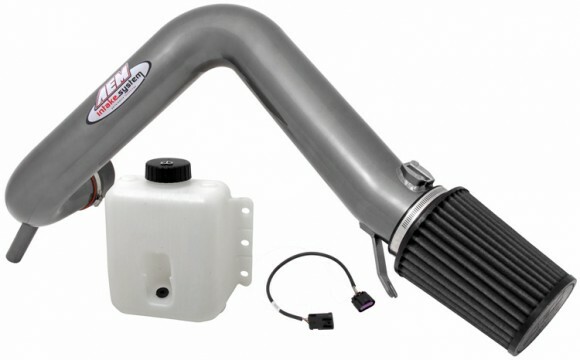 The 41-1404 air induction system features a one-piece mandrel bent aluminum inlet pipe coupled to an AEM DRYFLOW performance air filter to deliver the best combination of increased horsepower and reduced restriction. The cold air intake design routes the inlet pipe from the engine’s throttle body to an opening in the driver’s side wheel well for the best source of cool air inlet temperatures. 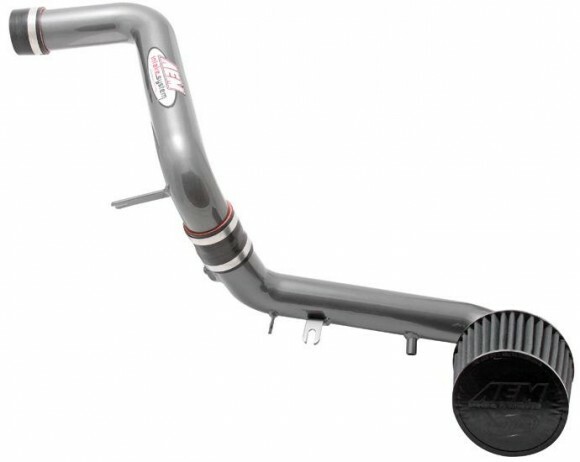 In addition to the high-quality construction and fitment, AEM offers this xD air intake system in two finishes. The 41-1404P features a highly polished finish, while the 41-1404C has a deep gunmetal gray finish. To maximize the horsepower gains of the xD’s 1.8-liter engine, AEM chose to utilize the newest in Electronically Tuned Intake (ETI) technology. By using an ETI system, the optimal intake tube diameter could be used for maximum airflow to the throttle body. 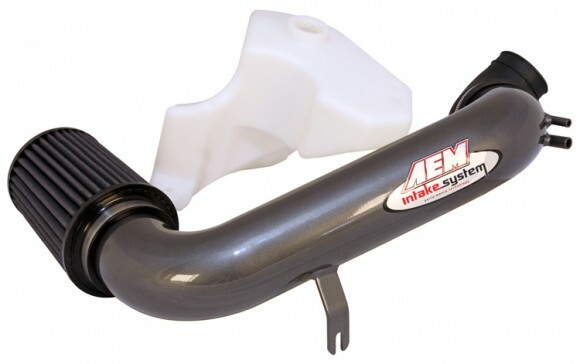 AEM’s ETI intake systems are designed to electronically manipulate the vehicle’s MAF sensor readings. With the optimal inlet tube diameter combined with the preprogrammed ETI module (included), AEM extracted a maximum horsepower gain of 6.67 horsepower at 4,900 RPM. This increase in horsepower translated into a peak of 107 wheel horsepower with the 41-1404 intake system installed. The 41-1404 Cold Air Intake System for the Scion xD uses a 21-201DK DRYFLOW Performance air filter. The 21-201DK has a 2.5-inch (63mm) inlet diameter and a height of 5.125-inches (130mm) allowing abundant airflow into the 2ZR-FE engine. The oil-free DRYFLOW technology is extremely durable and easy to clean. To further augment the filtration properties of the DRYFLOW performance filter, AEM also offers DRYFLOW Pre-Filters (Part number 1-4000 for the 41-1404 series of intakes). Designed to prevent splashes of water and/or mud from saturating the air filter, AEM Pre-filters are manufactured from durable micro-screen materials that are pretreated with a proprietary hydrophobic process. In addition, the AEM DRYFLOW Pre-filters also extend the service life of the air filter but add very little restriction to the airflow. In April of 1999, the Honda Motor Company officially launched the Honda S2000 roadster. The S2000 was created to celebrate the company’s 50th anniversary. The S2000 served a dual purpose to Honda as a celebratory icon as well as a tribute to the company’s first production car; the S500 sports car. The S2000 has undergone several changes and upgrades since its origin. Starting with the 2006 model year, the S2000 comes powered by a 2.2-liter, inline, four-cylinder (F22C1) engine. Known as the “second generation” or “AP2″ model, the S2000 is more powerful and fun to drive than ever before. To give S2000 owners even more to celebrate about, AEM has released the 21-690 Cold Air Intake System for the 2006-2009 Honda S2000. Available in two finishes, the 21-690 Cold Air Intake System comes in either a gunmetal gray finish (21-690C) or a polished finish (21-690P). 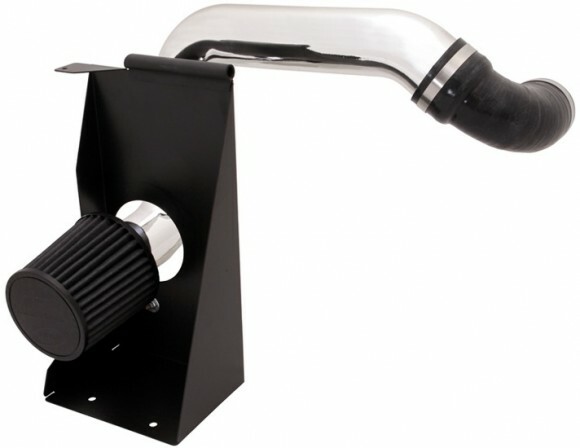 The 21-690 Cold Air Intake is constructed in a three-piece design using high-quality aluminum intake piping. Originating at the S2000’s throttlebody, the 21-690 Intake System relies on a series of mandrel bent curves to reach the vehicle’s front bumper where the DryFlow Performance Air filter is located. By mounting the DryFlow air filter in the front bumper of the S2000, the best source for cool air inlet temperatures is attained. The S2000’s performance is vastly improved with the AEM 21-690 Cold Air Intake System in place rather than the restrictive factory air intake components. As tested on a 2008 Honda S2000, AEM was able to realize a maximum gain of 7.67 horsepower at 7,300 RPM. Installation takes 90 minutes or less using basic tools. The 21-690 Cold Air Intake System for the S2000 uses a 21-2113DK DryFlow Performance air filter. The 21-2113DK has a 3.25-inch (83mm) inlet diameter and a height of 7-inches (178mm) allowing abundant airflow into the S2000’s F22C1 engine. The oil-free DRYFLOW technology is extremely durable and easy to clean. To further augment the filtration properties of the DryFlow performance filter, AEM also offers DryFlow Pre-Filters (Part number 1-4007 for the 21-690 intake system). Designed to prevent splashes of water and/or mud from saturating the DryFlow air filter, AEM’s Pre-Filters are manufactured from durable micro-screen materials that are pretreated with a proprietary hydrophobic process. The Hyundai Genesis Coupe was released as a direct competitor to sports cars such as the Infiniti G37 and Nissan 370Z. With styling cues derived from both challengers, the Hyundai comes out of the gates strong in the appearance segment. The Genesis Coupe also features high-quality components such as Brembo performance brakes, a limited-slip differential and a Mitsubishi TD04H turbocharger. It is in the power department however that the Genesis Coupe lacks amongst its counterparts. Weighing in at a hefty 3,294 Lbs., the 2.0-liter turbocharged engine only musters up 210 horsepower. In class of vehicles that generate right around 300 horsepower, the Genesis falls a few ponies short. Where the Genesis Coupe excels however is in its price tag and in its tuner-friendly design. The 2010 Hyundai Genesis Coupe with the 2.0-liter turbocharged engine has a starting MSRP of just $22k. The comparatively inexpensive price tag combined with support from the aftermarket community brings the Genesis Coupe to the forefront for performance enthusiasts. Since the introduction of the Genesis Coupe, AEM has been working on several performance components for the 2.0-liter turbo engine. To increase the airflow to the turbocharged engine, AEM has proudly released a Cold Air Intake System for the 2010 Hyundai Genesis Coupe with the 2.0-liter engine (Part Number 21-687C). 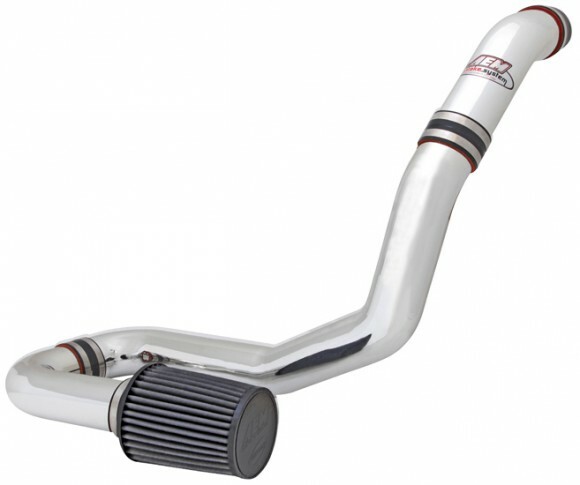 The 21-687C cold air intake system connects directly to the Genesis’ TD04H turbo compressor inlet. From the turbocharger, the intake inlet tube is directed to the passenger side wheel well. In order to make a clear path to the passenger side wheel well, AEM engineers had to redesign the vehicle’s windshield washer tank. 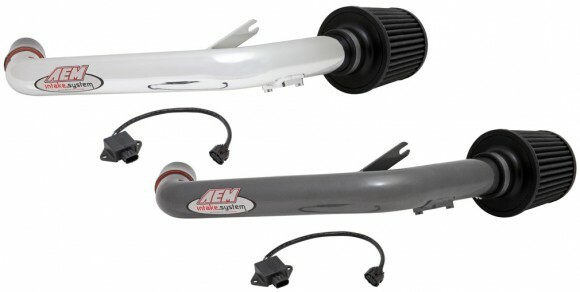 To this end, the AEM cold air intake for the Genesis (21-687C) includes a high-quality windshield washer tank to replace the factory unit. With the AEM washer tank in place, the mandrel-bent aluminum inlet tube is routed to the passenger wheel well and is capped by a DRYFLOW performance air filter. The AEM DRYFLOW performance air filter features an inlet diameter of 3.5-inches (89mm) and a height of 7-inches (178mm). The oil-free DRYFLOW technology is extremely durable and easy to clean. With its efficient design, the 21-687C air intake system is able to produce a maximum gain of seven horsepower at 6,500 RPM on the 2.0-liter engine. By allowing the turbocharger to take in more airflow, peak power is also improved with the addition of the AEM cold air intake. This cold air intake system is simple to install using basic tools.